We offer a variety of classes throughout the week to give you some more options to get fit and have fun doing it! Senior Fit - is a fun, energizing program that helps older adults take great control of their health by encouraging physical activity and offering social events. Unlock the door to greater independence and a healthier life with Senior Fit. SilverSneakers and Silver & Fit provides a free fitness center membership to Juniata Fitness. Splash - Water exercise classes are a great way to get a low-impact workout in the pool. Pushing and pulling arms and legs against the resistance of the water helps build strength without putting stress on joints. 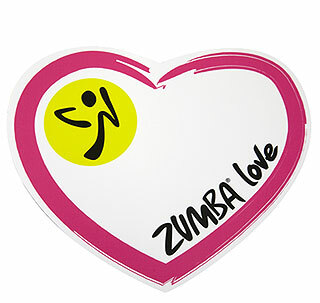 Zumba - Fuses hypnotic latin rhythms and easy to follow moves to create a dynamic fitness program. The routines feature interval training sessions where fast and slow rhythms, and resistance training are combined to tone and sculpt your body while burning fat. Add some Latin flavor and international zest into the mix and you’ve got Zumba! Water Therapy - The warmth, buoyancy and gentle resistance of water offers important benefits for people who are recovering from an injury or illness, managing chronic pain such as arthritis or helping people ease back into an exercise routine. More specifically, people with limited mobility can perform walking and strengthening, flexibility and range of motion exercises in the water that are more difficult or painful to complete on land simply by reducing the effects of gravity. Provided by our Physical Therapy Department. A prescription is needed to participate. Easy Fit - Something nice and light to introduce you to taking a class. So, there’s no excuse to not join in, get fit and have some fun! High Energy - A mainstay in the fitness industry thanks to its proven success in improving cardiovascular fitness and the strength of the heart and lungs, our aerobics classes feature the latest motivational music, expect an intense class so make sure you have loads of energy. Kids Class - Nearly three-quarters of children between the ages of 6 and 14 get less than the recommended hour of physical activity per day. A fun class they'll enjoy while tearing them away from the TV.